How do I claim back care fees that have been paid? Who completes the Decision Support Tool in NHS Continuing Healthcare? Families who don’t yet have a relative needing care are often unaware of how the care funding system works. Understandably so. However, because families are often thrown into this whole experience at a crisis point, e.g. a relative has a stroke, it’s vital that people know how things work – in advance. The local authority wanted to means test the father straight away. Thankfully, the family had already heard of NHS Continuing Healthcare funding and refused to sign any financial assessment forms. There are many, many thousands of families who agree to a financial assessment in this situation, simply because they assume it’s correct – and the local authority tells them they have to. A means test is not the first priority when a person needs care, and it’s at this point that mistakes are frequently made. Find out here why elderly people are often wrongly charged for care. The father in the family in our example subsequently had a Checklist assessment for NHS Continuing Healthcare, and got through to the next stage, a full assessment. This is where a Decision Support Tool is completed. However, he was told that a district nurse would be completing the Decision Support Tool, and she would, as a result, decide whether he would receive NHS Continuing Healthcare funding. Again, the family knew just enough to know that this process seemed flawed. It should of course be a multidisciplinary team that carries out a full assessment after a Checklist has been done – not one individual acting alone. What’s more, that team makes a funding recommendation, not the final decision. The key point here is that this family knew just enough. They knew the basics, not everything. Because of that, they were able to stop at least some mistakes being made right at the start. When they further challenged the social worker about what was happening in their father’s case, they were told that the outcome of the NHS Continuing Healthcare assessment wouldn’t make much difference anyway, because the father had a house and he’d have to sell it to pay for his care regardless. This is of course also incorrect! Sadly such misinformation is not unusual. 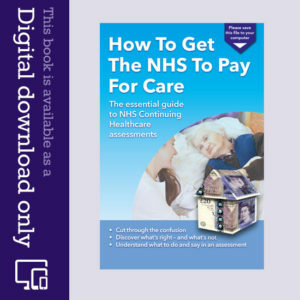 The whole purpose of an NHS Continuing Healthcare assessment is to ascertain who is responsible for paying – and it may not necessarily be the person who needs care. The more you know about what’s right and what’s not when it comes to care funding assessments, the more chance you have of securing the funding you and/or your relatives are legally entitled to. That doesn’t mean it’ll be easy, but you’ll be in a much better position than if you inadvertently allow the care authorities to misdirect you. When ‘mistakes’ are made at the start, it can then be very hard (and time-consuming) to get them put right. 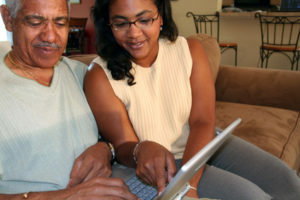 When a relative first needs care, there’s often little time to figure out how things are supposed to work. So if you have friends or contacts with elderly relatives, tell them the basics – and tell people about NHS Continuing Healthcare. Be prepared for them not to believe that NHS care funding has nothing to do with a person’s own money. Like many of us, they may have been conditioned to believe they have to pay because they have savings and/or a house. You may have to tell them twice, but tell them anyway. 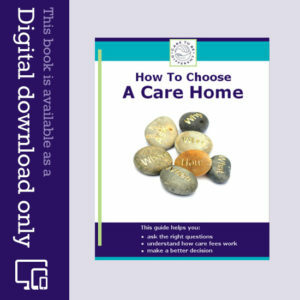 Whether or not you pay for care has nothing whatsoever to do with your money or house; instead, it has everything to do with your care needs, irrespective of your money. That’s why it’s vital to be assessed for NHS Continuing Healthcare before any means testing takes place. It’s a comprehensive information resource for NHS Continuing Healthcare, and most of it is free to browse. Not sure where to start? Here’s a good place. The information we publish tells you what actually happens in care funding assessments and the pitfalls to watch out for – it’s not just the theory. And if you need some extra help and support with your individual care funding case, call Andrew Farley at Farley Dwek Solicitors. Just mention Care To Be Different and he’s happy to have an initial chat with you free of charge. Read more here.